Chiropractic is a health care profession not a specific treatment. Chiropractors specialise in the diagnosis, treatment and prevention of disorders that involve the joints, muscles and nerves of the body. Chiropractors have a particular interest in spinal conditions. Gentle and specific techniques are used to restore joint motion and improve muscle function. These improvements work to relieve pain and reduce muscle spasm, as well as helping restricted skeletal joints to move more freely. Although chiropractors are known for using manipulation, a specific treatment technique to loosen stiff joints, our treatment is not limited to that approach only. Our treatment philosophy is to tailored to individual patients and their conditions. So we consider age, health status, and any special circumstances such as pregnancy, or arthritic disorders when determining the most appropriate treatment. 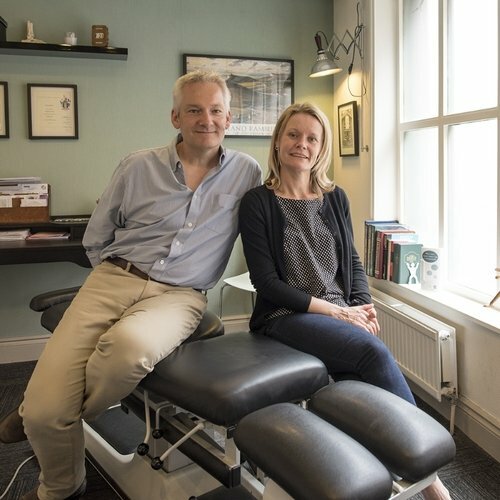 We use a package of care that recognises that everyone is different, and this might include manual treatment, such as manipulation, mobilisation, soft tissue treatment and muscular acupuncture. You will also be given specific advice on exercise, and changes in posture, seating and work practices, to speed up your recovery and to minimise the risk of a condition recurring. To become a chiropractor requires five years of undergraduate studies. The chiropractic student studies much the same subjects as the medical doctor, with a special focus on biomechanics, radiology, radiography and neurology. Chiropractors are trained to be good at understanding which patients they can help and which need medical referral.